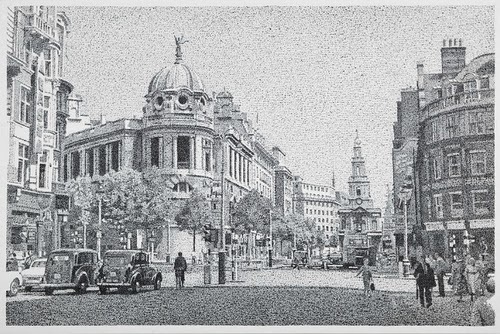 Ever thought of using a Date Stamp to draw? 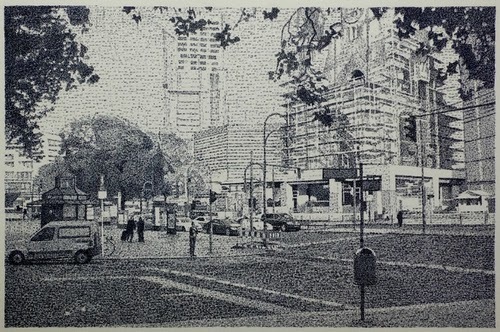 Italian Artist Federico Pietrella now working in Germany, has and in my opinion, to great effect, drawings People and Cityscapes with great mastery. 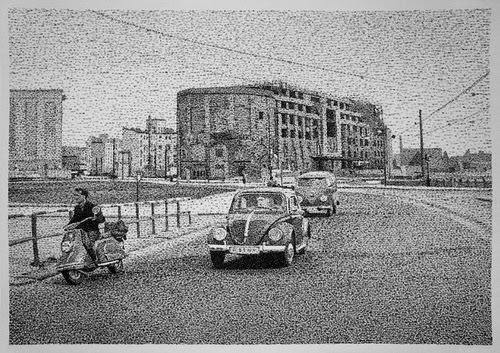 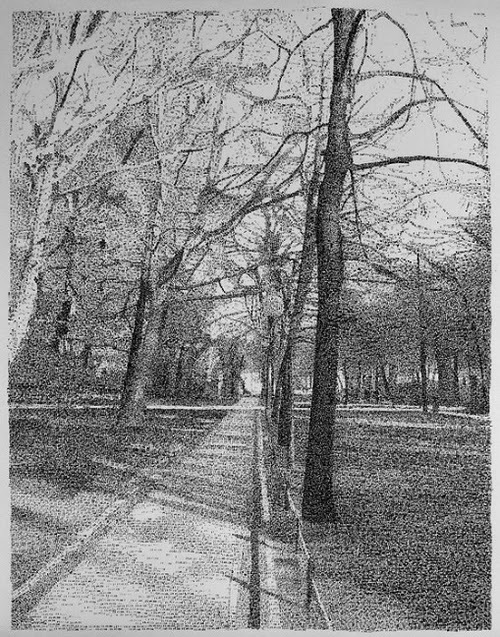 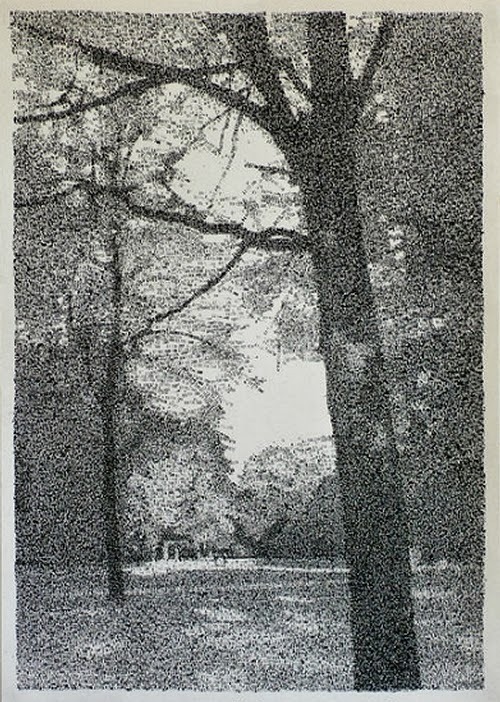 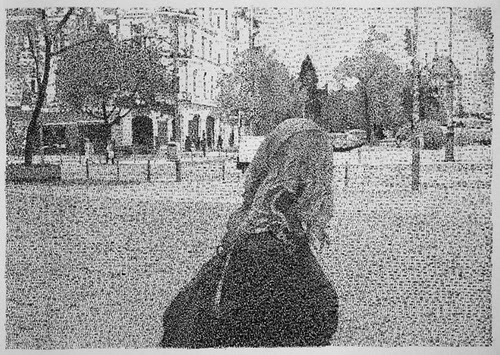 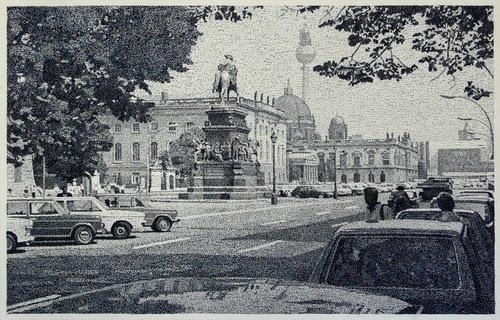 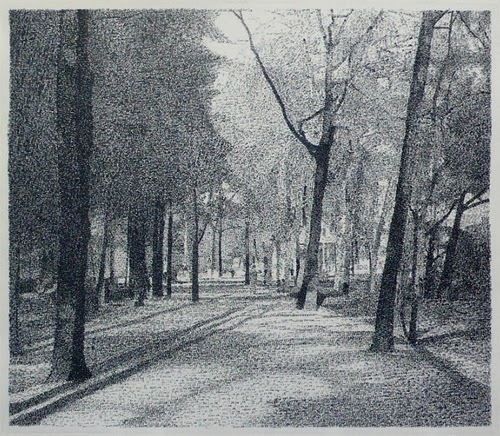 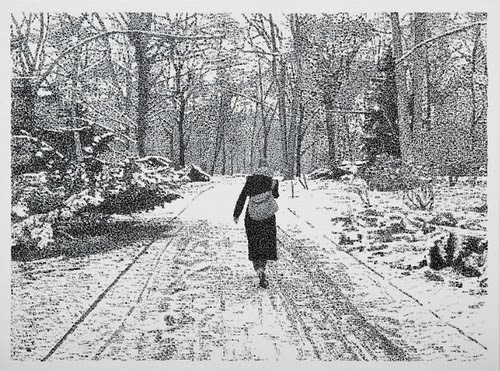 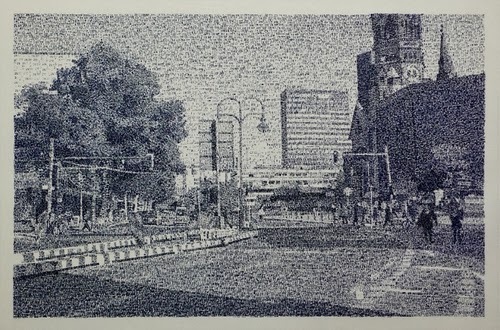 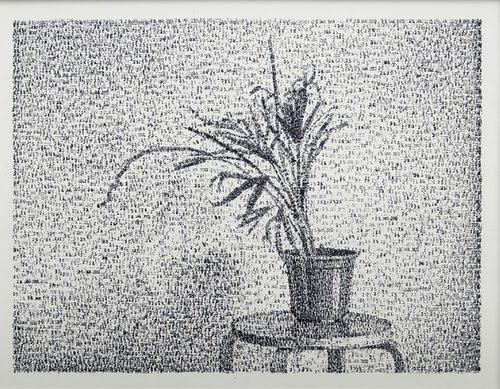 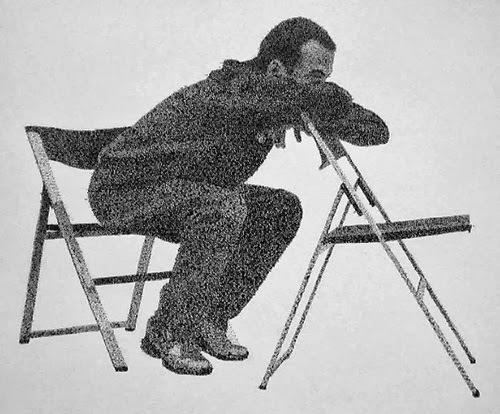 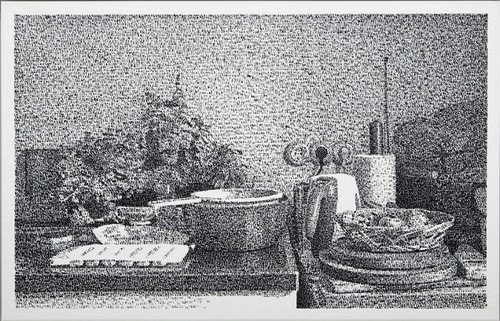 This technique gives the drawing an almost pixelated image like the grainy photographs from the 1950. 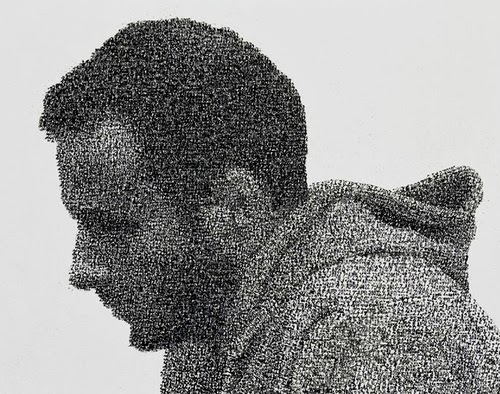 One more proof that you can make art on anything with just about everything. 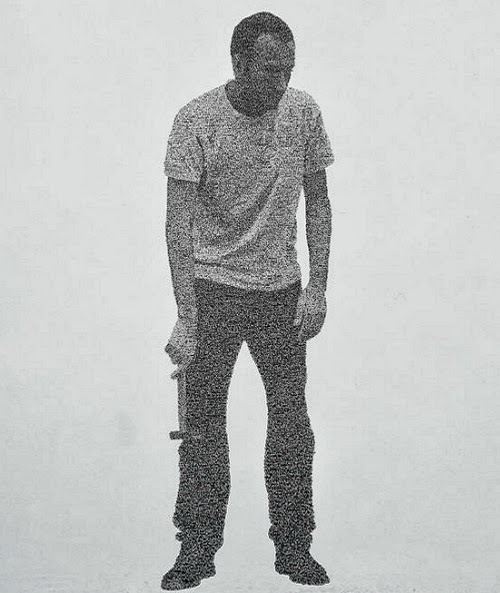 Let us know if you are one of these innovative artist, or if you know of any that experiment with new mediums. 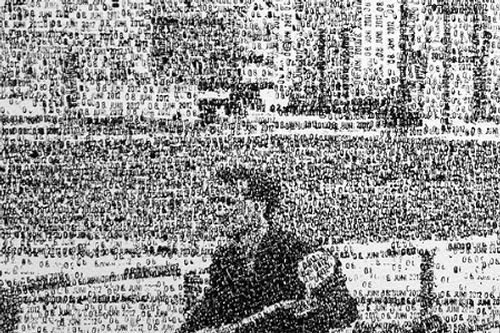 Close up of the rider from the picture above, allowes to see the date stamps. 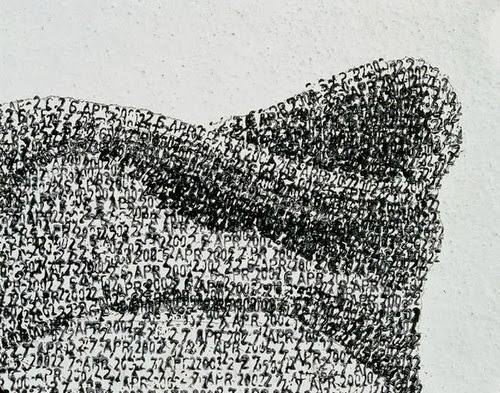 This is a close up of the hood in the picture above you can clearly see the date stamps.